There are only a few days left before the heavy black curtain that is the night sky comes down on Sydney town. 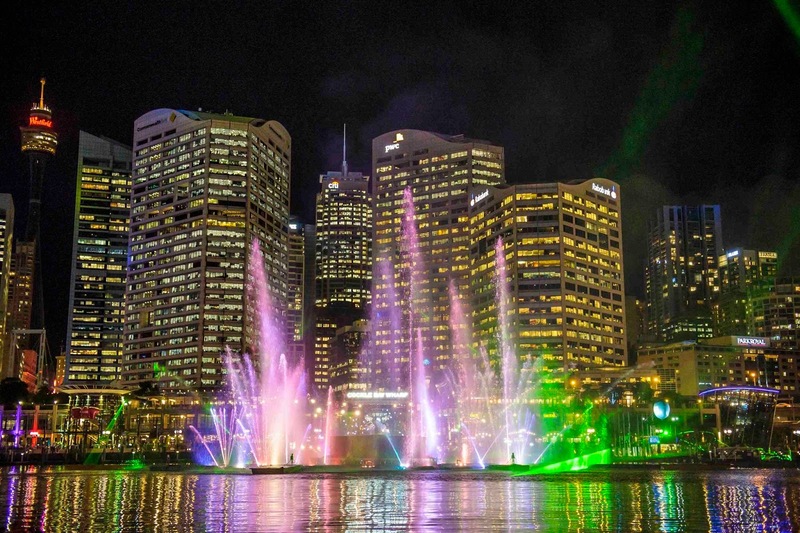 If you're planning to trip the light fantastic at this year's Vivid Festival, you still have a few days left to head to Darling Harbour, Walsh Bay, Martin Place, The Star & Pyrmont as well as Central Park in Chippendale and now Chatswood in the city's north. 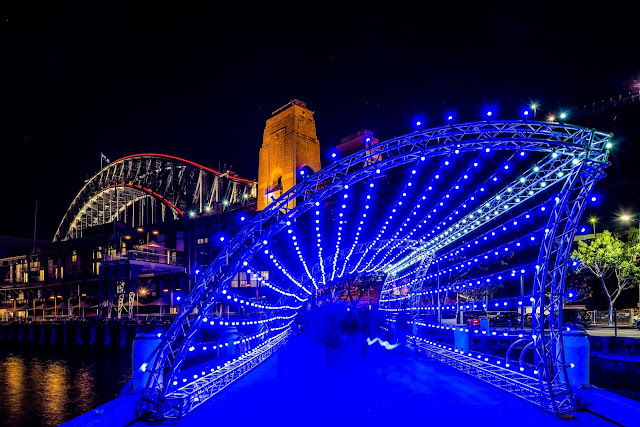 Visitors to the city during the event will find Vivid Sydney installations that add a splash of light and colour to corners of the city that may be otherwise shrouded in darkness or just lacking a bit of brilliance in the wintry months. 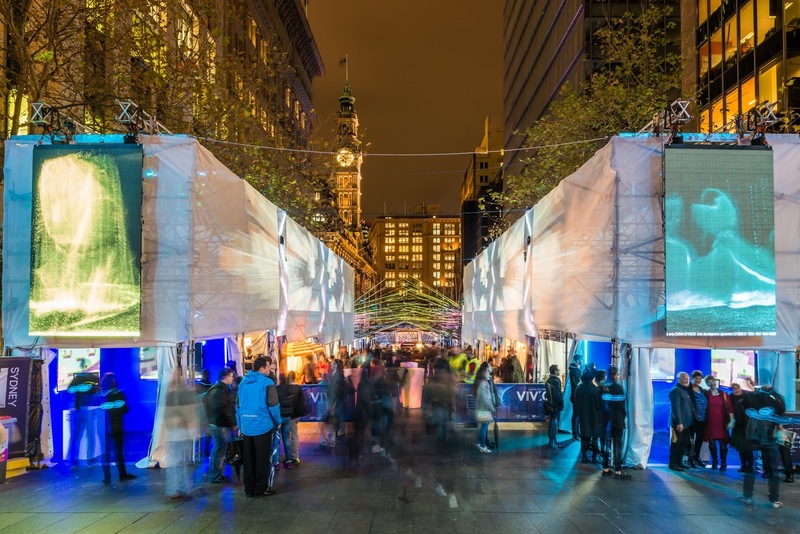 Following are 10 installations and events dotted around different precincts so you can plot them on the map before venturing to Vivid. One of the shining stars of Vivid this year is Transcendance in Martin Place. Here, multimedia artist Joseph Crossley uses light and technology to great effect. Crossley has engineered the computer-driven light show to match with great food at pop-ups such as Porteno, Cantina Movil, Agape Organic, Tsuru, Thievery, Bite Size Delights and gelato world champions, Cow and the Moon. Yes it was a lightbulb moment to include a variety of bevvies from Rocks Brewing Co, Archie Rose Distilling Co. and an incredible showcase of local wines (13 of the 14 NSW wine regions are represented). Opt for a glass of Helm Riesling and a roast pork roll from Porteno. 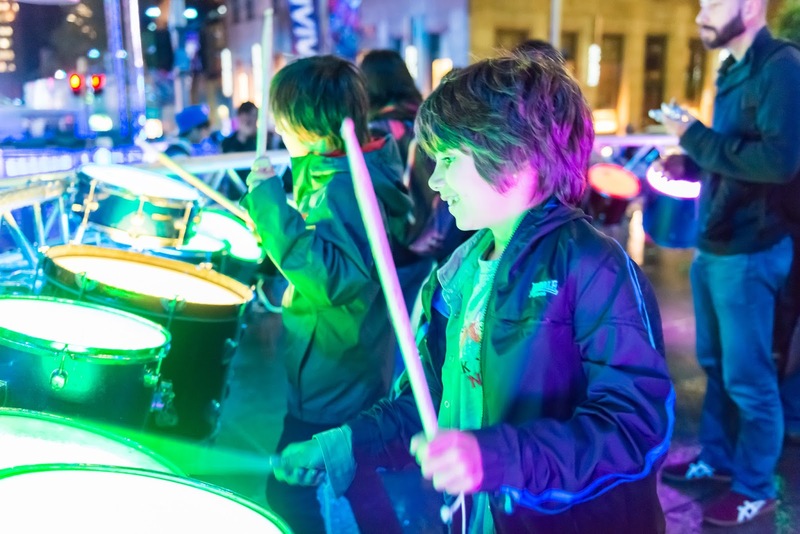 Artists Kate and Marty Bevz's also paint Martin Place in luminescent hues with Drum Circle, where you can bash out a rhythm surrounded by a light-filled forest. Nearby Phase Frames marries interactive trippy technology with 1920s' film projection techniques. 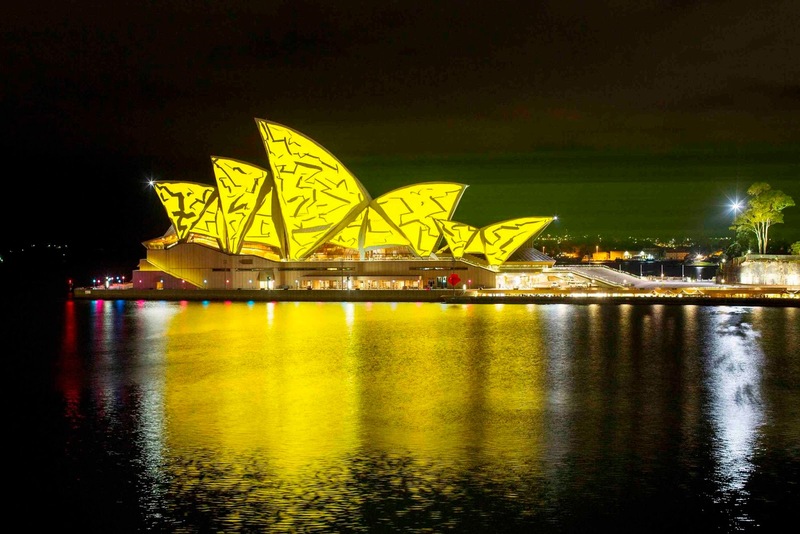 The Opera House is transformed into a Living Mural for Vivid 2015. Image: Destination NSW. One of the most spectacular places to get your retina twitching has to be Circular Quay where you can watch the sails of the Opera House transform into a Living Mural. Harbour Lights also sees a fleet of boats in synch with the spectrum. Bring an air horn to move swiftly through the crowds. A walk around the cultural hub of Walsh Bay is one of the highlights of the Vivid Festival. Image: Destination NSW. Walsh Bay is for those who are looking for a more under-the-radar Vivid experience but don't want to miss out on the illuminations. 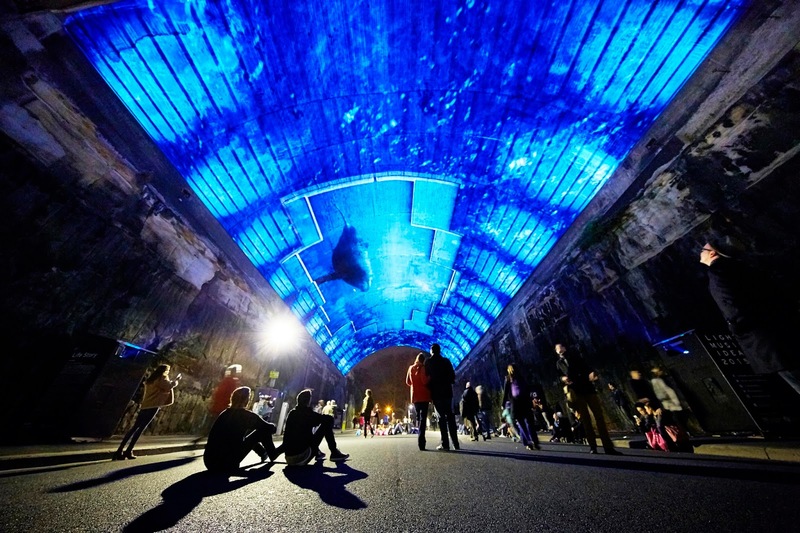 Highlights include Harbour Wave, a massive, curved transparent wave installation, which appears to break across a wharf, bathing it in blue light. Toy Shadows is also popular with children who enjoy seeing a series of shadows cast onto the wall and triggering the motion sensors, which add sound to the mix. Arclight is another must-see around the corner from Pier One hotel, where you can wind up the night at The Gantry Restaurant and Bar to watch the Harbour Lights show, which involves various boats travelling in and around the harbour. Oracle Liquid by Australian artist Glenn Turner bends its knee to new media art while presenting sparkling fountains of light and coloured waterfalls that are choreographed like an audiovisual symphony. The installation took over six months to develop, required 15 crew to install and uses 30,000 litres of seawater per minute, which it blasts across the harbour and into the night sky. The audience is transported to another planet at Customs House. Image: Destination NSW. 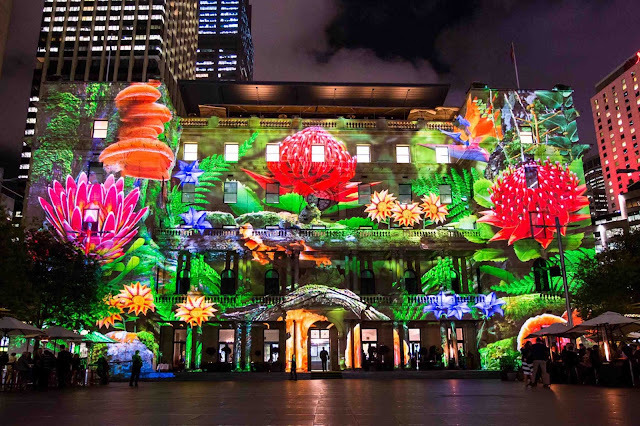 The light art projected onto the façade of Customs House is most mesmerising because it tells a story. The grand-scale projections are fitted to the form of the building as it integrates with natural images that remind audiences of the organic nature of the city. It's a visual feast that encourages viewers to see their city in a new light. From the soaring sails of the Opera House to the Mechanised Colour Assemblage that transforms the MCA, this is the beating heart of Vivid. Hear the dulcet tones of Sir David Attenborough at 7pm each week night and 6pm on weekends with Life Story, which is based on four years of footage captured for the BBC. The Argyle Cut is filled with flowing imagery of birds, marine and animal life and the voice of Attenborough, who gently reminds us that the greatest source of visual beauty is in nature. 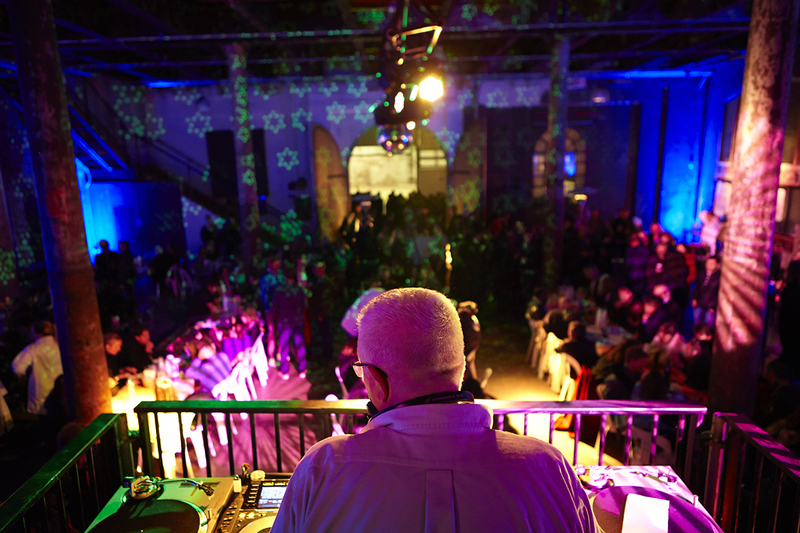 The Italo Dining and Disco Club will be held June 2-7 at Carriageworks. Image: Supplied. Explore the spectrum of colour while a DJ tinkers with tunes and fills this cavernous space with rainbows of refracted light. Enjoy a bowl of pasta from pop-ups that include Da Orazio Pizza + Porchetta, Fratelli Paradiso, 10 William St and then boogaloo to the tunes laid down by Italian disco legend Beppe Loda. Learn the underwater aquatic story of Norbert and the Nautilus and then set up camp on the Concourse for some refreshments at the night market. If you have little people and live in the north, the light-filled river full of glowing creatures and projections is a great introduction to Vivid and its many hues and views. 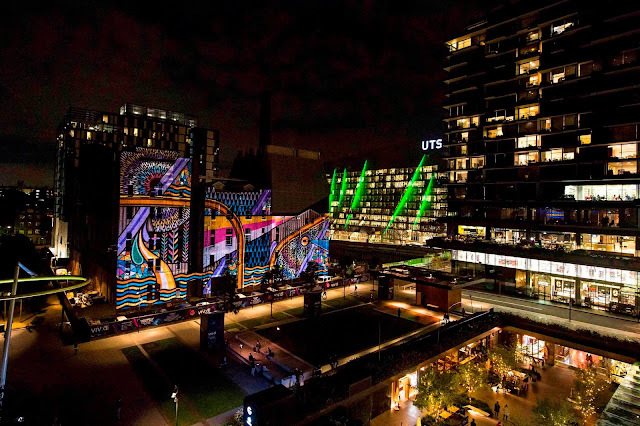 If you want to stick to the 'skirts and avoid the mosh pit of the more popular precincts, Central Park has free night markets alongside the works of indigenous artist Reko Rennie. Immerse yourself in the experience and then cut loose at the silent disco. 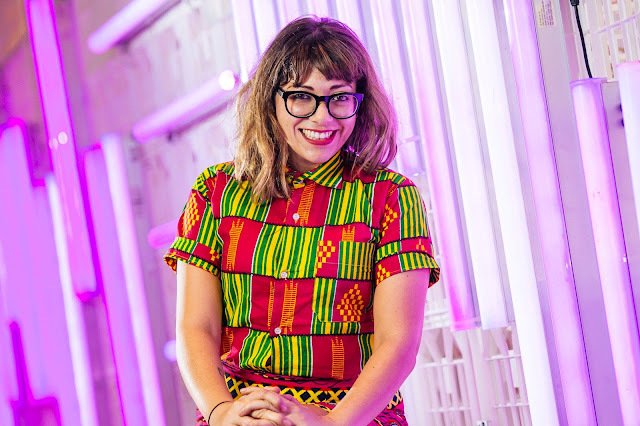 The many events taking place under the umbrella of Vivid range include experimental talks, exhibitions, parties and happy high-brow happenings to get involved with. From talks on architecture and design that offer transformative views about how to transform the future of cities, to educational talks for the young and young at heart, Vivid Ideas remind us that the festival is about nurturing a free-thinking atmosphere where anything is possible.